They were there, both of them, sitting outside Florean Fortescue’s Ice Cream Parlor — Ron looking incredibly freckly, Hermione very brown, both waving frantically at him. While it would be easy to assume that JKR meant that she's tanned (e.g. 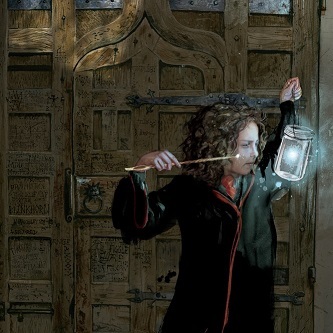 from the sun), other writers have suggested that the line above, and lack of other descriptors strongly implies that Hermione is naturally dark-skinned. Zeba Blay, the 'Voices Culture Writer' for Huffington Post even goes so far as to say that it's down to individual readers to make their own judgement on the issue. Is there any evidence either way? Has JKR ever given an in-universe reason to assume that Hermione is white, black or mixed-race? Stuff and nonsense. Why would you need to remark on Hermione's "very brown" skin if that was its normal shade? This is very clearly saying that both Ron and Hermione have been spending more time in the sun than they usually do; in Ron, it comes out as freckles, and in Hermione, it manifests as a tan. Add in the book covers (by the time the later books, and especially the reissues, came out, JKR had enough clout to veto anything that was blatantly wrong) and the movie casting (for which we know JKR had input), and it's clear that people are trying to "read into" this one quote things that are definitely not there. Word of God is now on record as saying Hermione's race was not specified, but in that case, the quote in question doesn't really make sense: unless we all acquire Mr. Data's observing capabilities, we wouldn't be able to tell whether Ms. Dumezweni spent her vacation deep underground in a cave vs. on a sunny beach. I think Ms. Rowling had a white girl in mind for Hermione while writing the books -- hence the allusions to turning pink, looking pale, and resembling a panda --, but she realizes that casting a play or movie is about more than physical descriptions. Remember that the original productions of Romeo & Juliet had a boy playing Juliet. 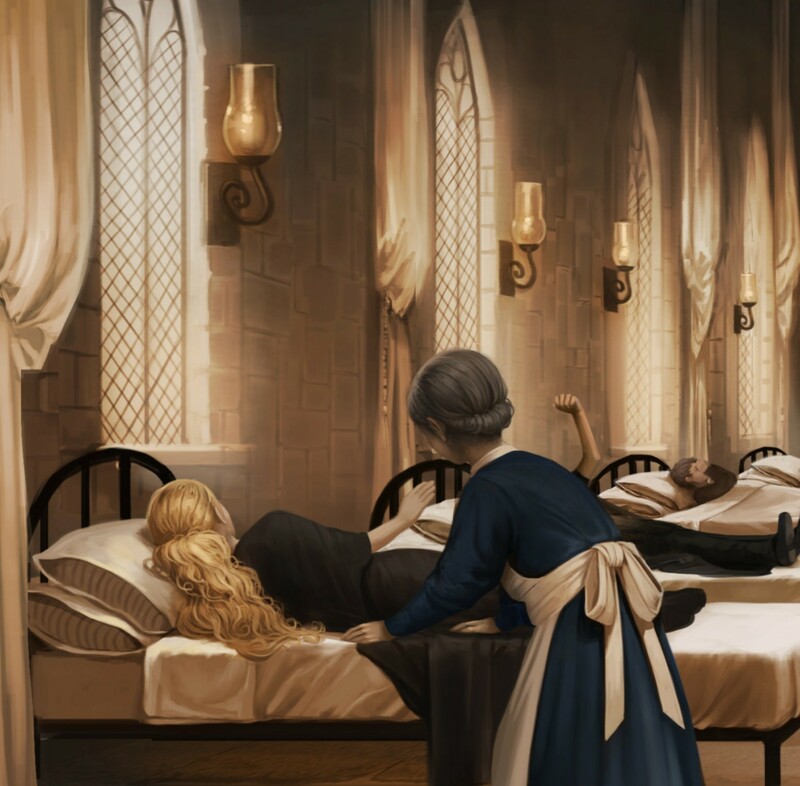 The fifth character, on the far right, is presumably an early version of the character who would become Dean Thomas; Pottermore reveals that a character named "Gary Thomas" was one of the Original Forty Hogwarts students created by Rowling, later renamed "Dean." Since we know that Dean is dark-skinned, and he appears dark(er)-skinned in the sketch, it stands to reason that Hermione was intended to be light-skinned1. Unfortunately, none of this tells us if she was meant to be mixed-race or not. Obviously I'm reaching a bit here, and how canonical these drawings are is a matter of personal taste. Nevertheless, it gives some insight into Rowling's mind when she created the character, and I've found no evidence to suggest she changed it. It's also potentially worth pointing out that there are abundant examples of Hermione being described as "looking pale" throughout the books. Again, though, this isn't evidence of much; the examples are always in high-stress situations, and a pale complexion in those sorts of situations has little-to-nothing to do with skin colour. 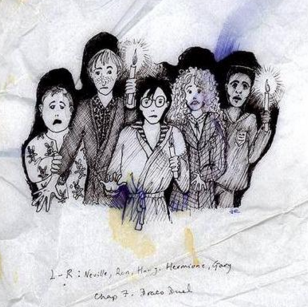 The US versions of the Harry Potter books had chapter illustrations that were hand-chosen by JKR. Although it's a little hard to see the detailing, in the pictures that contain Hermione, she certainly appears to be white/Caucasian. 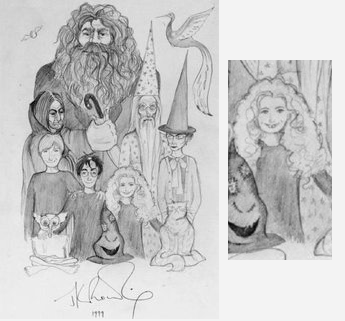 There's no substantial shading and her colouration appears to be the same as Ron's and Harry's. JKR: Yeah - w-well - n-n-not ... I mean none of the characters in the books are directly taken from life. Real people did inspire a few of them, but of course once they are on the page they become something completely different. But, yeah, Hermione is a caricature of what I was when I was 11 - a real exaggeration, I wasn't that clever - Hermione is a border-line genius at points - and I hope I wasn't that annoying, because I would have deserved strangling; sometimes she is an incredible know-it-all. It's by no means definitive, but it seems unlikely that someone portraying themself would change their race. Hermione is repeatedly described in the books as having bushy brown hair. Naturally dark skin typically goes with dark or downright black hair. Now while brown, of course, can range through a variety of shades, some of them quite dark, I think we can rely on Rowling's eloquence (so manifest on other occasions) to believe that, had she meant dark (or black) hair, she would have said so. For me at least, when hearing brown, the expectation is chestnut, not coffee. Also, Hermione is in the habit of turning pink rather often. Oh well. A brown-haired girl who's in the habit of turning pink. The giant panda has a body shape typical of bears. It has black fur on its ears, eye patches, muzzle, legs, arms and shoulders. The rest of the animal's coat is white. What did we learn? Pandas have white fur on their faces, and black fur around their eyes. Here is a quote about Hermione from Half Blood Prince. Hermione emerged, coughing, out of the smoke, clutching the telescope and sporting a brilliantly purple black eye. Here is a second quote moments later when Mrs.Weasley attempts to fix Hermione's eye. Hermione sitting at the kitchen table in great agitation, while MRS. Weasley tried to lessen her resemblance to half a panda". 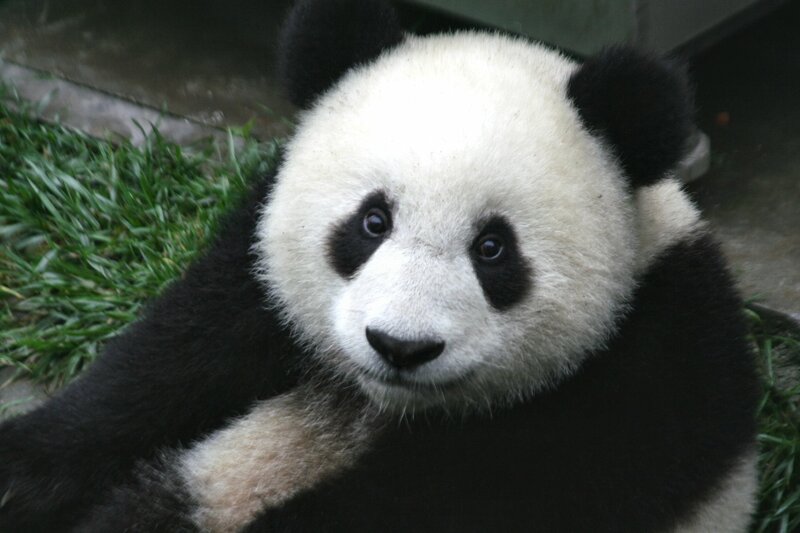 Pandas have black fur around their eyes. Hermione has a black eye. Hermione looks like half a panda. Moral of the story, Hermione is white.... or a Panda. Very brown is a British term for looking tanned after outdoor sports or a holiday. Ron looking "incredibly freckly" would mean as a redhead, he's very pale and doesn't tan at all. Examples would be in real life, and I recall Enid Blyton's boarding school books referring to a sporty character looking brown after the summer hols. Mary-Lou was at the deep end, watching the others. At least, she watched Darrell mostly, admiring the way she swam, cutting the water so cleanly with her strong brown arms, and thrusting through the waves like a small torpedo. A pair of wicked eyes looked out of the window of a car, and a tuft of hair fell over a brown forehead. 'I may have!' said Betty, stepping out. I too assumed that Hermione was white because of my prejudices. I disagree: it's not prejudice that makes my friend think Hermione is white. Instead, I think my friend picked up on a number of subtle clues embeded into the text of Harry Potter. Rightly or wrongly, Western culture and the English language use a number of vague and unusual techniques to convey information about race. This is why, while JKR never explicitly states the race of many of her characters, we can infer the race of many of these characters by taking a close look at the language, or rather the lack of language, that she uses to describe these characters. I think it is possible that some readers never even notice what color the people in the story are. Don't notice, don't care. Whites of course have the privilege of not caring, of being "colorblind." Nobody else does. If a character is a minority. This is because for most (almost all) minorities, skin color is an important part of their identity because it's the feature that the rest of society judges them by. If a character is evil. One of the defining features of Voldemort is that he is deathly (almost unnaturally) pale. Many other characters who are (initially) associated with evil are also described in similar ways. If there is a "biological reason" for describing a characters skin color, e.g. if a character is sick, scared, depressed, or (as quoted in the question) tanned from the sun. For example, when Tonks is depressed in The Half Blood Prince, she is described as "pale". I would suspect that this is because being pale is a symptom of being sick. In all other cases, when JKR does not describe the skin color of a character, it is because that character is white. Minorities in Western cultures do not have the privilege of ignoring their skin color; whites can go through their entire lives without thinking about the fact that they are white. This is because if you are white, you won't be systematically discriminated against because of the color of your skin; everyone else will be. I can prove this by the fact that I only found one instance where a character was described as white, and none of the above reasons applied (see the bottom answer for a discussion about that). But I think it should also make sense that white characters don't think about or notice the fact that they are white. In fact, it's even awkward for people to say things like "my white friend" or "I'm white", even if those sentences are true. So for a number of reasons, both the fact that white characters don't need to think about their race and the fact that it's uncomfortable for white characters to think about their race, it makes sense that Hermione wouldn't be described as white, at least in the same way that other minority characters are described as black. "Thomas, Dean," a Black boy even taller than Ron, joined Harry at the Gryffindor table. [Voldemort] was standing in a dark, curtained room lit by a single branch of candles. His hands were clenched on the back of a chair in front of him. They were long-fingered and white as though they had not seen sunlight for years and looked like large, pale spiders against the dark velvet of the chair. Harry twisted around, his own wand held high, and saw that the Death Eater had ripped off his mask and was pointing his wand directly at Harry, who recognised the long, pale, twisted face from the Daily Prophet: Antonin Dolohov, the wizard who had murdered the Prewetts. A young witch with a pale, heart-shaped face and mousy brown hair was sitting at the table clutching a large mug between her hands. "Hello, Professor," she said. " Wotcher, Harry." I'm not quite sure about this quote: if anyone has any ideas, let me know in the comments. I suspect this is because Violet is associated with alchohol (she drinks a lot with the Fat Lady), and her being described as pale might be because of that. However, I'm not 100% sure about that argument. 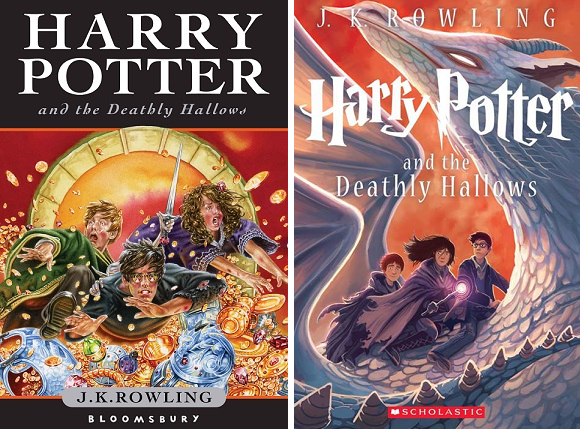 The non-US Deathly Hallows cover depicts her as light skinned, as does the "new" Scholastic cover, so one can easily assume that the quote in question is indeed indicating a tan. 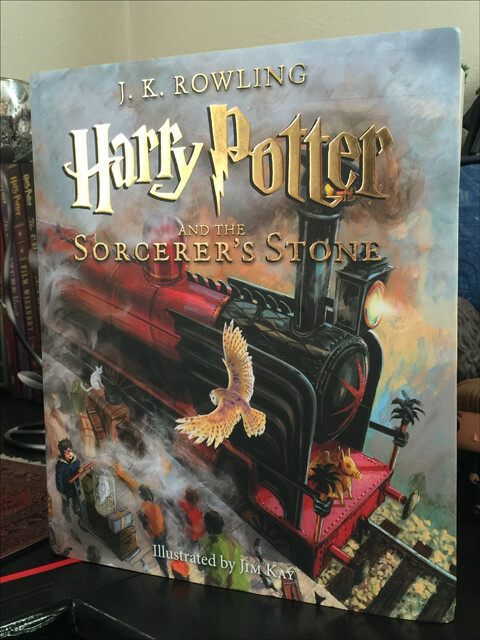 Also, Jim Kay has done the illustrations for the new editions. 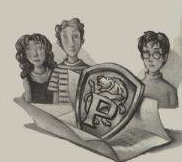 The one of Hermione is featured on Pottermore, and Jim Kay's illustrations have received JKR's stamp of approval. At a minimum, then, we can assume that the last illustration is correct, and she is at least of white skin color, though we cannot definitely rule out mixed race. According to JK Rowling, Hermione’s ethnicity is not definitively stated in canon. @mauvedust: like. especially rowling. how does she feel about black hermione. i need to know. This follows the announcement that Noma Dumezweni has just been cast as Hermione in the stage play The Cursed Child. Just because she didn’t explicitly specify an ethnicity doesn’t mean she didn’t have one in mind. She’s made comparisons between Hermione and herself at a young age. I think it’s likely she had a white Hermione in mind when she wrote the books, which might explain some of the wording choices – but was careful never to pin it down entirely. While Dijon is not particularly warm or sunny during the summer, you're only a few hours from lots of beaches on the south coast of France. JKR herself said in an interview that Emma Watson looked just like Hermione, only more beautiful. I think that's pretty definitive. Also, wouldn't she have mentioned it at some point if people were wrong? 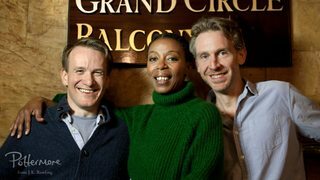 Below is a picture of the 3 people that will be playing Harry, Hermione and Ron in the stage play Harry Potter and the Cursed Child. The people who will be playing Harry, Hermione and Ron in Harry Potter and the Cursed Child. The woman playing Hermione is actress Noma Dumezweni. She was born in Swaziland to South African parents, before moving to England as a child. "I’m so excited with the choice of casting for Harry Potter and the Cursed Child. I can’t wait to see Jamie, Noma and Paul bring the adult Harry, Hermione and Ron to life on stage next summer." In the films, Hermione is canonically white, having been played by actress Emma Watson. In the stage play, she is canonically black, being played by actress Noma Dumezweni. In the books, J K Rowling does not specify a skin colour for Hermione that cannot be interpreted as a demonstration of emotion. Her delight at both Emma Watson and Noma Dumezweni playing Hermione would seem to indicate that she simply doesn't care about this aspect of Hermione's character. Mr. Malfoy's eyes had returned to Hermione, who went slightly pink, but stared determinedly back at him. Skins high on melanin don't go pink. She was brown (in quote of your question) because of high UV ray exposure issue or other health issue. 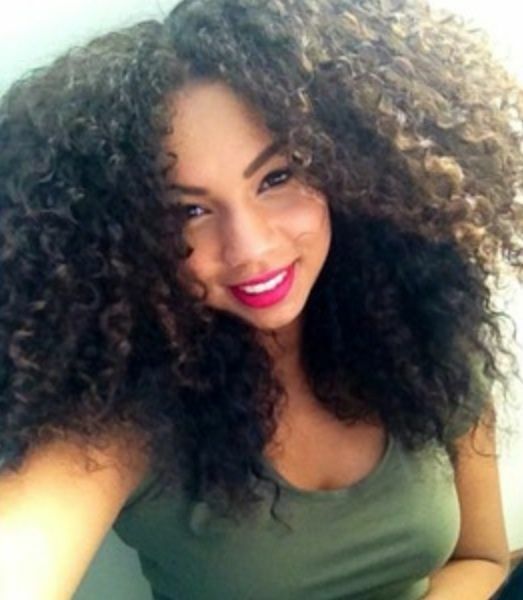 Considering her name, the fact that the only place where she is referred to as Brown is when she returned from a place that is sunnier than usual, and the fact that she Lives in Britain, and thus the default assumption would be Anglo-Saxon, I would say by far the most likely answer is that it referred to a tan. Wikipedia's list of people named Hermione contains 9 people described variously as English or British, and 1 (from 110 AD) who lived in Rome, and whose father was white. Of those 9, 6 have pictures on the Wikipedia article and are white, 1 has a link to IMDB with pictures showing they are white. The others are a Baroness and a President at Oxford college. I'm going to go out on a limb and assume they are white too. In fiction, 'Hermione's are generally British/English, with a smattering of Italians and one person from Ancient Greek Mythology. Turning now to Granger, there are too many people on Wikipedia for me to go through 1 by 1, but they are predominantly British/English, the American 2nd most common (of the 5 I clicked on, 4 were white and one was Native American), or French/Australian/New Zealander/Canadian (I clicked on 5 that were all white). There are, however, 1 each from Guyana, Trinidad/Tobago, and the Caribbean. Looking at fiction, then every character with the last name of Granger listed in Wikipedia is white, with one exception, of a character in the anime beyblade, where the character has a Japanese name in the Japanese version, and a 'Western' name with surname Granger for the English translation. So in reality, a person named Hermione Granger is most likely white, but in fiction, the probability of someone named Hermione Granger not being white becomes vanishingly small. 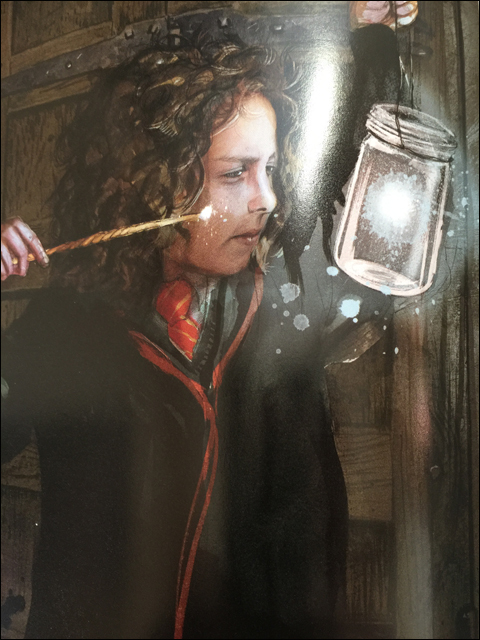 In the Junior Novelization of Harry Potter & the Goblet of Fire, Hermione's mother is described as having green eyes and pale skin. This provides fair evidence that Hermione is at least half-caucasian. As other users have provided plenty of evidence for the ethnicity/race of Hermione, I want to talk about the snippet that prompted this question and explain a different interpretation. I think a more accurate interpretation of this snippet would be that this is a description of the most prominent feature. For Ron, his most prominent feature is the Weasley freckled skin and red hair. For Hermione, that is her ample bush of brown hair on her head. So for Ron, he's labeled by the freckles on his skin, while Hermione is labeled by her brown hair. No need to ask who you are. My father told me all the Weasleys have red hair, freckles and more children than they can afford. Funny, all these answers, and yet my own interpretation is very different. To me, the description isn't of skin, but rather her entire ensemble as a person. When I've heard someone described as very brown in the past, it generally indicates a somewhat rumpled person, in drab brown colors, generally the kind of person who grabs clothes out of the closet and puts them on without really looking at them. Classically the idea would be that the person is dull and boring and only interested in minute stuff that nobody else really cares about. In other words, much like a classical depiction of a scientist whose field of study is something like the mating habits of the Amazonian ring worm. They can't be bothered with fashion, so they have 10 of the same outfits. 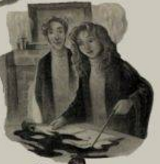 In this illustration, you can clearly see that Hermione is blonde and white. Why was Ron so nasty to Hermione? Is there a complete list of JK Rowling's Harry Potter tweets? Why does the Weasleys' clock have a dentist setting? Which Harry Potter characters' races were canonically stated? Did the change of actor for Dumbledore change his portrayal in the later books? Did Hermione ever fix her parents' memories? Why does Hermione whisper Levicorpus?